In years and years of planning Disney World trips, I've made some mistakes. You can read and read to plan your trip but some of what you learn will be gained just by going there and figuring some things out on your trip. 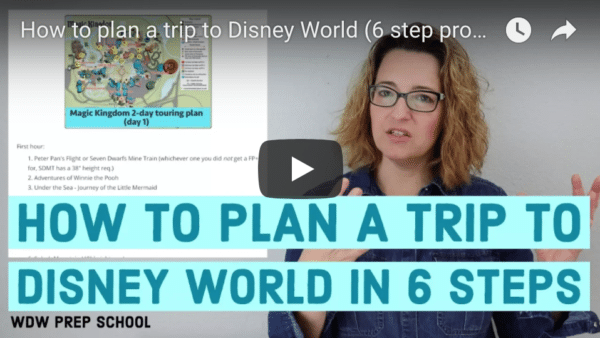 Here are 5 mistakes I've made while planning trips to Disney World. You might read that the distance between 2 points at Disney World is just a few miles so you might assume that it'll just take a few minutes. Nothing at Disney World takes a few minutes. When using Disney transportation, allow for an hour to get anywhere. It may not end up taking that long but often times, it does. On our first trip, we had young children so I planned an afternoon break each day but a dining reservation around 5. By the time we left the parks around 1 or 2, got back to the hotel, laid down for a few minutes and then...it was time to go again! There are a LOT of places to eat at Disney World. My mistake was reading about a fun place to eat without considering where it was located. That's why I suggest making your daily plan (step 3 in the planning process) and then choosing your dining based on where you'll be located each day. The top thing that I recommend to people is that they pare down their plans. It's super tempting to want to do it all but you won't. It's important to be realistic and allow some free time to be flexible. Planning too much means you spend your trip being frantic to get to the next thing rather than enjoying things as you do them. After our first Disney World trip, I realized we didn't have many pics with all 4 of us in it. Every trip since then, we've used the PhotoPass photographers so we have plenty of pics in prime spots featuring our whole family. Learn more about PhotoPass photographers, including using a special link to get a discount when you pre-order. This is sort of a general mistake but after getting stuck at Ohare well into the wee hours of the morning after a Disney trip, I'd really suggest not doing this with your Disney trips. Most people book flights based on cost which is why the airlines know they can get away with not offering much seat space or any extras. If they do offer extras and charge more, people will still always be looking for the best deal. Flights really need to be chosen based on a combo of things including schedule and price. If you can book direct flights, do that. That reduces the possibility of delays and allows you to start and end your Disney World trip with less stress. You can also use FlightStats.com to check the history of a flight you're considering booking to see how often it's on time. To learn more about booking flights for your Disney World trip, read my article on finding the best flights. Can anyone tell me how long check-in at Magic Kingdom takes if you get there 1st thing in the morning? 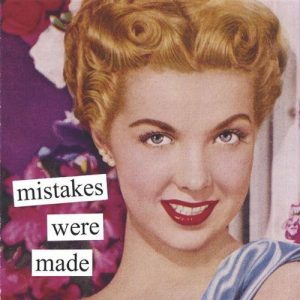 Mistakes 2 and 3 – GUILTY as charged! So many things I would have done differently if I got a do over. Mainly I would have made a better daily plan that allowed us to prioritize things accordingly. We are traveling Nov 14-18 and I booked 3 hours of downtime after lunch – this includes travel from a morning park and then to an afternoon park. Basically one hour of round trip travel and 2 hours to rest. Do you think I need to add more time? We are staying at Pop. Yeah, I allowed for 4 hours and still found it a bit tight. Will We make it to dinner on time? I have reservations to stay at the Caribbean beach Resort March 18 to 25,2014. I was looking for a fun place to eat for dinner the day we arrive. Jut for the three of us. So I’ve read fun reviews about T-Rex Cafe at downtown Disney. I booked a reservation at 4pm because the only other one left was 9:30pm. We don’t want to have dinner at 9:30pm much to late. Anyway our plane lands at 1:55pm at MCO . If all goes as planned we should be able to make dinner at 4pm. I do have the phone number for T-Rex if their is a problem. What do you think? If you have a rental car do you think that you still need an hour to get from the parks back to the resort. We are staying at POR. Thanks! Nope, a little less but still allow 30-45 minutes. Allow more time for Magic Kingdom though because you have to take the monorail or ferry after parking. I fully agree with the 1hour transport time. I made the same mistake with early dinner reservations and stayed at port Orleans and had at LEAST an hour back and forth. It was terrible and poor planning on my part. But a good learning experience for next time! Also another HUGE mistake was renting a stroller daily from disney instead of a rental company. I was pregnant with twins and had a 3 year old in the parks. We had to turn in the park stroller at the gate entrance (which, by the way, sits straight up so NO chance for napping in that hard plastic thing!!). So trekking over to the bus stops with an exhausted 3 year old, then all over the sprawling resort, and a princess breakfast in Epcot before the park opens means NO stroller!!! Then you have to find a stroller rental in the park when it does open. It was a horrible mistake. Highly recommend renting from a company that drops the stroller to your resort and its “yours” for the week or bring your own! Plus, put anything on the back of your disney plastic stroller and it will flip over the second your child gets off, spilling that drink that you just spent $4 on!!! I thinks it’s a great idea to bring your own stroller from home. You will probably need it throughout the airport, and can gate check it right before you board the plane. They give it back to you right outside the plane’s door! Then you will have it for every part of your trip: airport, resort, parks, and it’s the stroller you like! I’m actually not even sure the reason why people rent strollers. If your child uses a stroller because he or she needs a stroller, then you already have one you like at home. It’s pretty easy to bring it along. We are planning on renting a stroller because our son is big for his age and has outgrown his stroller. Plus at 4.5, he doesn’t use one much anymore. I think he will want to rest some so I think the stroller will help. I had booked our flights for our upcoming November trip and made the book based on cost mistake for our return flight. We had a good flight for traveling to Disney but I had booked a 7:30 am flight to come home. After I read this article I had second third and fourth thoughts and went on line with Southwest Airlines and changed our flight to 3:30 in the afternoon. Southwest doesn’t charge a fee for changing so I only had to pay the difference in airfare. I have 3 tips that we have discovered along our path to Disney-aholic stardom! #1 Always check your photopass photos before you leave the park at one of the photopass stations. One year we had a particularly lovely memory around our Daughter and her favorite Character- what we got instead was a family that didn’t look like our daugther. Yeah, I’m not scrapbooking them in to my vacation. #2 Try to write down (or put in your phone) what time you did your photos in photopass. When we went to check our photos at the photopass station they were able to track down the correct photos thus averting the disaster of not having those special memories. #3 EVERYONE that brings a stroller from home tends to have a BLACK Stroller. Find someway to make your home stroller stand out in a crowd. It doesn’t matter if it’s lay a towel on the top of it, wrap a bandana around it etc- mark that sucker as yours. When the staff moves your stroller to make room for others you will be able to spot it a mile away and head on to the next attraction. We just got back from a week stay. For the first time we used PhotoPass photographers.. not a single outdoor shot was usable. Many of the pix from Enchanted stories with Belle was too dark to make anything out and we were missing pix for 2 of the 3 princess’s from our time at the MK Town Center Theater. As it turned out only about 10% of the pix taken by the PP photographers were usable. Thank goodness we handed our phone over to the “handler” for our own pix! I will say that the Pix from the Wild Africa Trek were amazing! Love your site! When my family went for the first time (well, it was my first time as a grown up! ), my biggest mistake was not putting the stroller near ride exits! I spent more time walking around attractions to find my stroller! Also, my mom made the dining reservations and had us ALL over. I’d make my reservations for the park I’m staying in. We ended up not enjoying some special meals because of the rush to get from place to place. 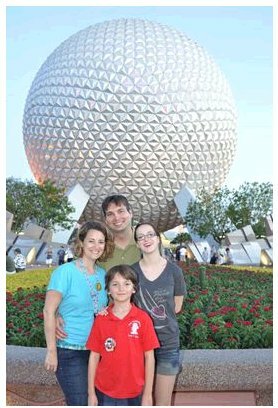 Love, love your site-a great resource when I was planning our first ‘real’ Disney family vacation (which may have even overlapped w/your own family vacay in early June)! Another tip for flying: If you can at all possible book on Southwest-do it! You can still check 2 pieces of luggage per person and even though they are in the process of of buying AirTran, the luggage rules go by Southwest no matter if the flight is through Southwest OR AirTran (which many of their trips now use both until 2014). We used the extra luggage to pack snacks, drinks, etc. It was a HUGE help & savings during our trip, esp. during hot days at the parks & back in our room. 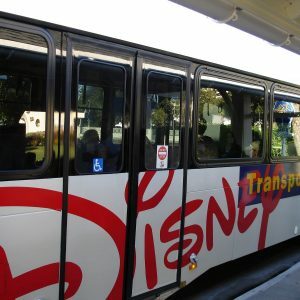 When we visited Disney World last fall, we used Disney transportation the first day. Our trips between Port Orleans and the Magic Kingdom were so long and arduous that we decided to drive ourselves the rest of the time. It was one of the best decisions we made all week: the Disney parking lots were very simple to get in and out of and since we were staying at a resort, parking was free. Speaking of Photo Pass, it’s not my mistake, but it’s something that could have turned into a sad day when we got home. The person taking the photo pass photo in front of the castle was having any issue with her camera, she even called over a supervisor, and they together took the photo with her camera. That night when we were back at the hotel, I started to feel questionable about that photo. The next day we were at Epcot and went to their Photo Pass location and had them look at our photos… and no, there were no “in front of the castle” shots. We did still have time on our last day to make a quick stop at the Magic Kingdom for a “redo” in front of the castle, before heading to the airport. My suggestion is for the “BIG” photos where they have multiple photographers, is to stop at more that just one photo. And hopefully they both work, and you just have a couple of different views. But if someone’s camera just isn’t working…. make sure that you do another one. By the way …. I love the Photo Pass program! So nice to all the group in one photo without stopping a stranger to ask them. I also recommend using the photographer. Not only did we get some great pictures but my camera developed a problem and I lost 2 full days of disney shots. It may seem expensive at the start but I am sure glad to have the pics and memories for my grandkids. I especially like your tip on booking flights based on cost alone. My hubby booked our flights for our upcoming Disney trip. Not only do we not have a direct flight, but our flight leaves home at 6am and leaves Orlando at 7am! Gasp! I actually do not mind arriving at WDW early. However, leaving the beloved World at 7 means the Magic Express is supposed to pick up up to go to the airport at 4am. Yuck! Next time, I won’t let the hubby book anything while I’m at work.